It’s not age that often holds people back from living life fully; it’s the condition of their health. At any time after reaching the age of 30, a man’s health can downgraded by the appearance of Low T and if this has happened to you, is injectable testosterone cypionate going to be your best medical treatment choice? According to many of the US doctors who specialize in testosterone replacement therapy, it very well could be. The use of injectable testosterone to increase deficient male hormone levels has been in medical use for many decades, as opposed to the topical forms (the gels and creams you’ve seen advertised everywhere) that appeared on the scene much more recently. Doctors and medical researchers have had ample opportunity to study the effectiveness and evaluate the possible risk factors that are associated with the extended use of treatments such as testosterone cypionate injections. The results have all been fastidiously documented – and what these members of the medical community have consistently found is that they are impressed with both the results and the relative safety that they have witnessed. It is only fairly recently that newer forms of treatment products for Low T have been developed by pharmaceutical manufacturers, including the topical creams and gels as well as time-release implanted pellets and oral lozenges. The effectiveness and risks associated with these treatments are still being studied and tested. But thus far, none of them have proven to be as consistently effective as the “tried and true” form of injectable testosterone cypionate, which also requires the fewest injections to administer throughout a patient’s cycle of treatments. So before anyone decides on a form of treatment based on what is being aggressively promoted as the newest and best thing via television, Internet and magazine ads, it is definitely a good idea to find out the professional opinion of the US doctors who specialize in testosterone replacement therapy programs – and many of them continue to prescribe testosterone cypionate injections for their patients because they know how well they work. How Does Testosterone Cypionate Compare to Enanthate? In addition to injectable testosterone cypionate, there is another injectable form that yields very similar results called testosterone enanthate. The minor difference between these two forms is in the chemical composition that transforms their bio-identical male hormone molecules into injectable esters. However, here in the US the cypionate form is the one that is more commonly prescribed; throughout Europe, the doctors there commonly prescribe the enanthate form for their Low T therapy patients. The simple explanation for this is that one form of treatment has become more popular and available in the US and the other for has similarly evolved overseas. In comparing the two forms, there is not a great deal to contrast. The cypionate form is slightly longer lasting than enanthate, so it requires using slightly fewer injections overall during a patient’s course of treatment. Both forms are very effective and both of them carry a relatively low risk for causing any undesirable side effects. In the bodybuilding world, where comparisons of the results yielded by the various forms of injectable testosterone typically become incredibly detailed, users will often prefer one form over another based on the muscle definition they believe it has led to. However, throughout the medical world, the comparisons that matter to TRT doctors are the gains in wellness and vitality that their patients receive. So it comes back to documented results – and in the medical research and clinical trials conducted in the US, today’s doctors have a proven history of the use of injectable testosterone cypionate to refer to. Undoubtedly, European doctors feel the same way about the history of the enanthate form that has been more popular there. Yet it is a record of medical performance that has not yet been as thoroughly determined for the newer forms of Low T treatment. That makes more relevant for both doctors and patients to compare the results yielded by using either testosterone enanthate or cypionate against the results of using any of the other forms that are also available only by prescription. If a man wants to receive a medical prescription for using TRT (testosterone replacement therapy), there are three basic procedures that will have to be performed before that can happen. He will have to have specific blood testing that measures the amount of male hormone he currently has available within this system; he will have to have a medical exam performed to assess his symptoms as well as his overall condition of health; and he will have to provide his TRT doctor with his complete medical history. Without having these three procedures performed, it would be medically irresponsible for any doctor to diagnose and/or prescribe injectable testosterone cypionate or any other type of medical treatment for Low T.
Yet Nexel Medical has made it easier than it used to be for men in the US to have these procedures performed under the supervision of an experienced TRT doctor. We have done this by making our specialized medical practice accessible to adults online and devising an innovative process for receiving Low T treatment that allows our patients to have these procedures performed in their local areas. Our doctors are then able to prescribe and supervise their therapy remotely, while remaining immediately available to our patients whenever they might need medical assistance or advice. 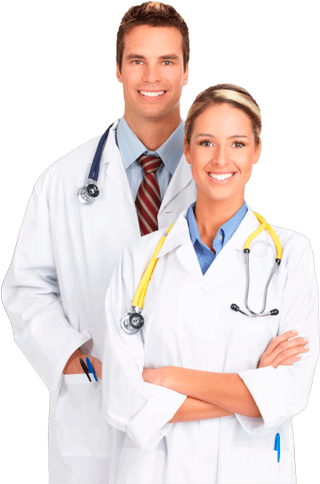 We also maintain a team of qualified and experienced clinical advisors who provide ongoing professional support, by either email or by phone, to all Nexel Medical patients. Our process eliminates the need for adults to have to disrupt their work schedules in order to travel to a medical specialist outside of their local areas. And they also don’t have to wait to see their own primary care providers just to get a referral to another doctors – and then have to wait to get another appointment. All that any adult who has Low T symptoms needs to do is simply call us at our toll-free number contact us via our website to immediately get their treatment process underway. One of our advisors will be pleased to schedule your locally performed procedures as well as provide the answers to any questions about using injectable testosterone cypionate or other TRT treatment that you may have. In less time than you probably thought was possible, you can receive a valid and legal medical prescription for using Low T therapy from your Nexel Medical doctor. So the only remaining issue you will need to resolve is that of how and where you should purchase your prescribed treatments; and we have even made that easier for you, too. When you consider how many hundreds of different medications are now available by prescription only, it is not surprising that most local pharmacies only keep the most commonly prescribed ones in stock. Many prescription drugs, including injectable testosterone cypionate, are considered by pharmacists to be specialty medications that they are infrequently requested to fill in comparison to others that are requested by patients almost every day. Along with the added inconvenience of making multiple trips to the pharmacy to get one prescription filled, plus the frustration of not being able to easily make price comparisons, getting Low T treatment products easily and locally has been a challenge for many TRT patients. But it is not a challenge for Nexel Medical’s patients. Our patients are able to securely and conveniently order their prescribed TRT treatments online through our affiliated and fully licensed US pharmacy. Once they have received their individual prescriptions for male hormone replacement therapy from our doctors, they can immediately go online to our website and order their prescribed treatments for fast and secure delivery to them. They never have to worry about whether their local pharmacies will be able to get specialty treatments such as injectable testosterone cypionate for them whenever they need them; and they never have to worry about being ripped of, scammed or otherwise taken advantage of by any of the illegal and unscrupulous Internet sources for medical drugs and controlled substances that spring up every day. These two innovations – having access to experienced testosterone replacement therapy medical providers online and having access to genuine Low T therapy medications being sold legally and ethically online – have made Nexel Medical’s patients some of the most satisfied TRT patients in the US. They are using their heads and realizing that they don’t have to allow Low T symptoms to dictate either their state of health or their lifestyle satisfaction; and they are using the digitally enabled treatment process created by Nexel Medical to access the treatment that has proven to be both highly effective and low risk in eliminating those symptoms.